The Belize Agricultural Health Authority (BAHA), in collaboration with the Ministry of Agriculture, Ministry of Health and Belize Livestock Producers, has informed all livestock farmers to vaccinate their cattle against the ongoing Bovine Rabies outbreak. A press release from BAHA informs that the disease is currently being detected in the Cayo District and is expected to affect herds in the Belize River Valley, as suspected cases have also been detected in areas along the Macal River. The spread of the disease can be halted if livestock farmers vaccinate their cattle against rabies. 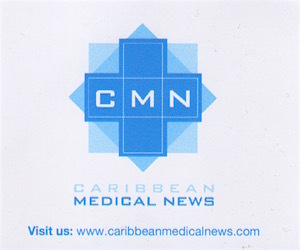 Some eight different cattle coming from six different herds have been exposed to rabies, with seven coming from the Cayo District and one from the Orange Walk District. In mid January of this year we had reported a rabies outbreak, and now more positive results have been coming from places such as Arenal. Farmers are warned that the disease can be transmitted to humans. Rabies is a highly fatal disease that affects all mammals. The disease is almost always fatal, but can be prevented through vaccination of animals and post exposure treatment to humans. “It is a disease that can be transmitted to humans … the loss of one life, that life is priceless so you would want for that to remain at zero human losses,” says Dr. Miguel DePaz, Director of Animal Health at BAHA. The reservoir for the rabies virus are vampire bats says Dr. Miguel DePaz. Bats can live with the virus unaffected. However; whenever bats bite another mammal, (the virus is transmissible via saliva) it can become potent in the host, to affect its nervous system. As a result, BAHA has now embarked on a vampire bat control program. Affected animals will usually show nervous signs and aggressive behavior. Most animals will show excessive salivation as swallowing becomes impossible. In infected cattle, there is a characteristic bellowing sound. Another classical sign is when the hind end of the animal becomes weak and as a result is unable to walk. Avoid coming in contact with animals showing these symptoms and immediately call BAHA Officers at 824-4899 to report any suspected cases. With this rabies outbreak, the responsibility of BAHA is to come up with a diagnosis. BAHA is currently using a reference laboratory in Panama to confirm these cases while being equipped with both personnel and supplies to deal with the outbreak.